At some point you may be stranded due to your motorbike breaking down. That’s why it’s important to make sure you’ve got breakdown cover in order to get you back onto the open road as soon as possible. Getting cover for your motorbike can be just as important as it is for a car, even if the bike isn’t your main mode of transport. 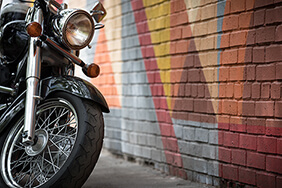 Here at Confused.com we compare motorbike breakdown cover from some of the country’s best providers to meet your needs. 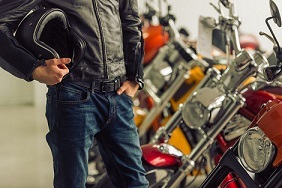 What type of motorcycle breakdown cover is right for me? It’s important to consider what type of cover is best for your personal circumstances. So think carefully beforehand on what you’ve got planned for the coming riding season but also what may come up in the future. This is the most basic level of cover for a breakdown policy. A recovery vehicle is typically sent out and attempts to fix your motorbike at the roadside. If your motorbike cannot be fixed, you’ll usually be towed to the nearest garage. This is the next level of cover available for motorcycles. It’s very similar to roadside assistance but you may be able to choose a location in the UK to have your bike taken to if it’s unrepairable. Typically, you and any passengers will be included in the transportation. A home start policy is designed to cover you if your motorbike breaks down at home or within a very short distance from it. The distance covered from your home will depend on the provider. With roadside and national policies, there may be a set distance you have to be from your house before a recovery vehicle is sent out. Onward journey differs from the other policies in that it is designed to provide you with transportation or accommodation while your motorcycle is being repaired. The options of transportation can vary depending on what provider you choose so be sure to check with your provider before purchasing a policy. It may also be automatically provided in a national cover policy, so check with your provider. This is the type of cover you’d need if you’re riding through Europe. You can typically be covered for a single trip or you can have an annual policy that covers multiple trips. We recommend you contact your provider directly to get a list of European countries they cover. Although breaking down in a car can be frustrating, arguably it can be so much worse when riding a motorbike. You get none of the advantages a car provides, such as shelter from the weather or a spare tyre, which makes breaking down a bigger problem. Here’s what to do if riding season comes to an abrupt halt. Don't panic and keep your focus - As a motorbike rider, you’re already vulnerable to the cars around you - even more so when there’s a fault. Remain calm and look for a safe spot to pull over. Make sure you make your intentions clear by signalling to the vehicles around you. Get off your motorbike safely - If you have anyone riding pillion, make sure you all exit safely away from traffic to the left. Stay well behind any barriers on the roadside. Stay visible - Before calling for help, it’s important you’re visible to traffic, especially if you’re on the motorway. It’s always recommended to keep a high-visibility jacket handy as part of a breakdown kit in your bike. For more information on this, you can read our breakdown checklist guide. To make your presence known further, put on your hazard lights. The main headlamp isn’t advisable as this can drain your battery quickly. Call for assistance - Once everyone is safe and visible, it’s time to call your breakdown provider. Let them know your location and if you have any passengers with you. If you don’t have motorbike breakdown cover then there are a few options available to you. The first is to call the Highway Agency for help - look for the markers on the roadside. The second option is calling a local garage for assistance. Neither option is free but be aware that garages can charge for every mile they tow your motorbike. If you want to know more about getting your motorbike covered or learn more about motorbikes and insurance, visit our motorbike guides hub. 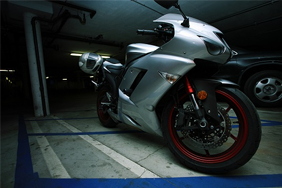 You may be offered breakdown cover from your provider when you purchase motorbike insurance. If you decided not to get covered it can be reassuring to know you can purchase it at any time. If you have any questions about breakdown cover, our FAQs page may be able to help you out. Taking your motorbike on holiday? Discover the top 10 European destinations to explore on two wheels. Confused.com's breakdown cover is arranged by Comparison Creator who are an Appointed Representative of Moneyshake.com Ltd and is authorised and regulated by the Financial Conduct Authority firm reference number 522581. Comparison Creator is registered in England & Wales No. 07336373 at Springboard Business Innovation Centre, Llantarnam Park, Cwmbran, NP44 3AW. Our service compares a range of trusted household names. We are an intermediary and receive commission from Comparison Creator, which is a percentage of the total annual premium. We pride ourselves on impartiality and independence – therefore we don't promote any one insurance provider over another.